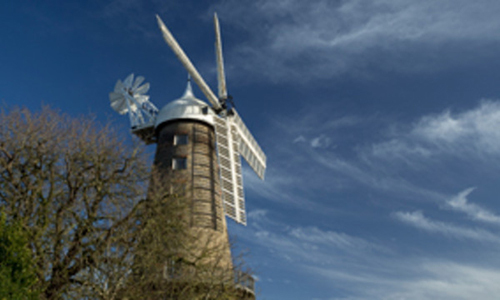 It was back in 1850 that Charles Pennington, draper, silk mercer and milliner, opened a shop in Hall Place, Spalding, a prime site in the town centre. Over the years the business grew and the premises expanded, until it became one of the largest in the county, By the time my mother went there as an apprentice seamstress in 1931, the original shop had grown to take in several of the neighbouring buildings, boasting an impressive frontage along the main street. There were three sections a long three-storey brick building with four windows on each floor, with decorated stone gutter supports and a stone balustrade along the roof parapet. The central section was narrower but taller, with three windows, and a matching balustrade with stone finials. These sections had a name board along the full length above the display windows; this also stated that the shop dealt in Furnishing, Drapery and Haberdashery. The ground floor was the main business area of the shop, With displays of clothes and materials. In the early 1930’s an elaborate system of cables suspended from the ceiling, enabled shop assistants to send money for purchases whizzing across the shop in a small container to the cashier’s desk, and any change sent hurtling back to the counter. Beneath was a basement where crockery and toys were sold. 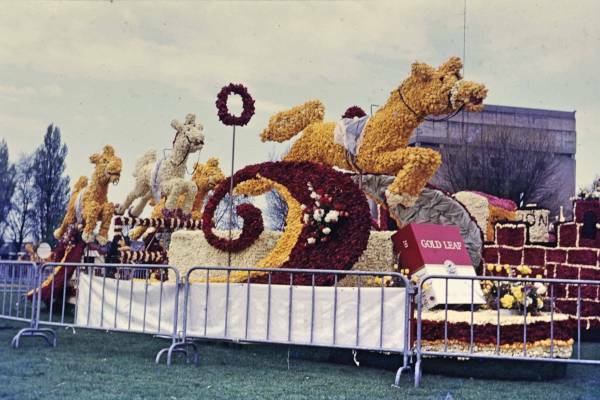 At Christmas, it became the Santa Claus grotto. The third section looked curiously like a cinema, with an elaborate plaster facade of pillars, columns and fluted mouldings. Here, in faintly eastern surroundings, was an arcade, tea lounge and refreshment room, with cane chairs and sofas set elegantly amid a profusion of potted plants, palms and pergolas. This section also contained the living apartments of the owners, who by that time were Mr and Mrs W A Wheeler, with her two maiden sisters, Eve and Myrtle, although the business continued under its original name of Penningtons. did not close until 9pm. There was no morning tea-break, but time was allowed for dinner, when Mum would walk around to her Aunt Sue who lived half a mile away in Green Lane (not, as the name suggests, an idyllic rural spot, but a small row of Victorian terrace houses with railway trains thumping and wheezing past the end of the street). Like all other seamstresses, Mum was in a uniform (which she had to provide herself) of navy dress with a white collar, and she was based in the large workroom on the top floor of the centre section of the shop. 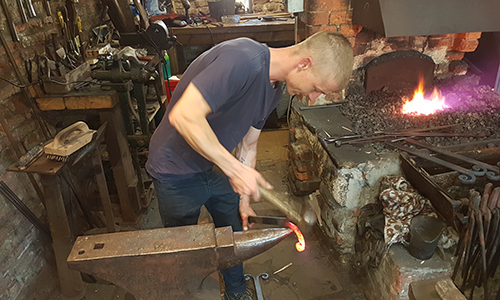 There were about twenty girls, with four large work tables each dealing with a particular aspect of dressmaking: sleeves, coats, skirts and bodices. In each of the three large windows overlooking the street was a treadle-operated sewing machine. One of Mum’s first jobs as an inexperienced apprentice, at half a crown a week, was to go round each work table to check what supplies and materials were needed for the immediate jobs, going down to the haberdashery department on the ground floor to collect cotton, needles, tape and anything else required. This was an easy and pleasant job, since it provided the opportunity to see what was going on in the rest of the shop, and to chat with the girls behind the counter. Back in the workroom she might be given the job of unpicking any sewing that had been done wrongly, and then dashing off to fetch the iron for one of the women who had finished garments ready to press. Her final job of the day was to crawl around the workroom floor picking up pins which had been dropped. As she grew more experienced, she graduated to elementary tacking work, and then proper machining. All clothes made on the premises were put together from paper patterns cut individually by the dressmakers themselves. The making of a pattern from the customer’s measurements was a skilled job, and involved much trimming and shaping on the dressmaker’s dummy which, for the more matronly of customers, might have to be padded with blankets. The fitting room was attached to the main showroom on the first floor. The chief fitter at the time was a Miss Thomas, a tall, always dressed immaculately in a long black dress. Measuring tape round her neck and an ample supply of pins in a velvet pincushion fastened to her wrist, she presided over her domain with quiet authority. If further pins or other materials were required, she would communicate with the workroom above by a long speaking tube called the ‘whistle’. Finished garments were always delivered to the customer, unless she collected them herself, and a porter was employed for this purpose who made his rounds balancing large cardboard boxes precariously on his bicycle. One day, when the porter for some reason was unavailable, Mum was given the job of delivering a parcel to the house of the Liberal MP in Pinchbeck two miles away. In the absence of the official bike she was given the fare and caught the local bus out to Pinchbeck where she eventually located the house. 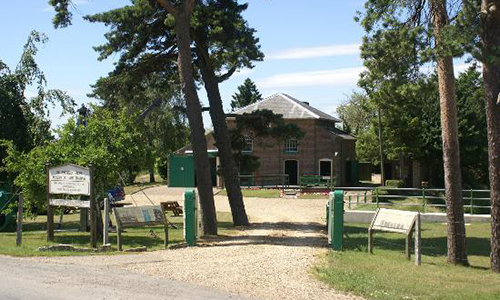 This was a large, impressive building set in extensive grounds, with a long sweeping drive up to the door. Mum knocked at the tradesmen’s entrance, which was opened by a maid. The lady of the house herself took delivery of the parcel, graciously thanked Mum, and then sent her off to the kitchen where she was given a glass of milk. Since there was no bus back to Spalding for some time, she walked back to town, having spent the whole morning on her exciting expedition, a refreshing change from the routine of the workroom. 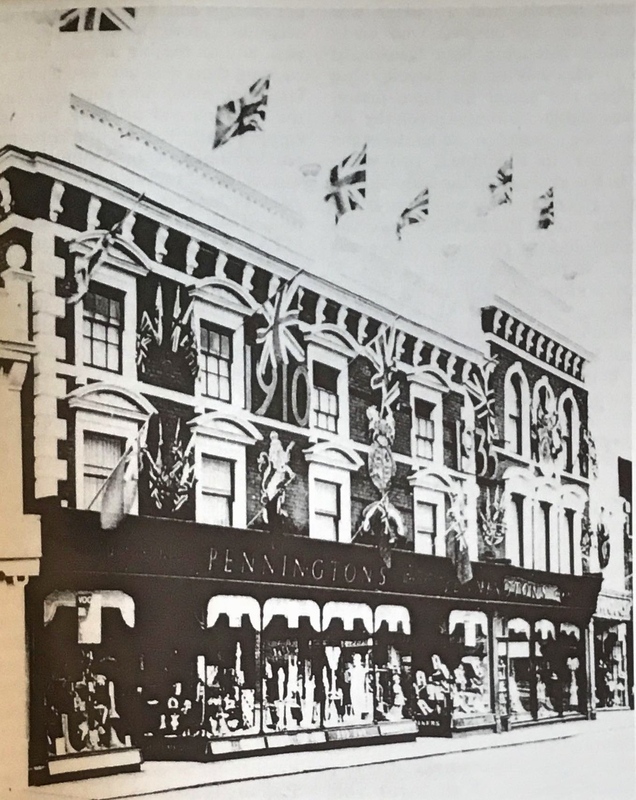 Twice a year Penningtons held its own fashion parade, a social event of some importance in the town. It was held in the main showroom, and for three days anybody who was anybody would flock in to be seen amid the plush setting of soft carpets, glittering chandeliers and fashionable clothes. The culmination of the whole event was the wedding tableau which featured Mrs Wheeler’s sister Eve, a tall, slim lady as the bride. On the last day, the assistants in the workroom were allowed to invite two guests from their families, and Mum always gave her invitations to her mother and Aunt Sue. This was an occasion eagerly looked forward to all year, and on the big day the two ladies, wearing their best hats and coats, would take their places like royalty, appraising the fashions and nibbling biscuits and sipping daintily the cups of tea provided. As an extra concession, the workers were allowed to watch the bridal procession, as long as they kept themselves tucked out of sight on the back stairs. The Wheelers had two small sons, Peter and Barry (named after Sir James Barrie and his immortal creation Peter Pan), whose clothes were all made in the workroom. Later, when Mum became more experienced, she was sometimes taken along to the Wheelers’ private apartments to help Miss Thomas fit the boys in their nursery. This looked out over a walled garden set round with huge mirrors to make it look bigger. 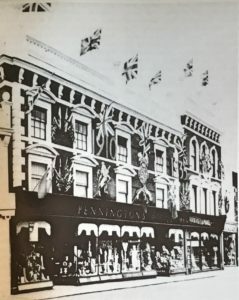 Mum left Penningtons after a couple of years in order to look after her father after her mother died, but the shop continued as one of the town’s premier stores. It survived until May 1941 when in an air raid a German bomb scored a direct hit on the shop, which was damaged beyond repair. The firm carried on as best it could in various premises around the town, and after the war a new shop was erected on the site. This later became part of the Keightley group of Boston, still retaining the Pennington name, and remained until 1969 when the business finally closed down. Today all traces of the shop have vanished.